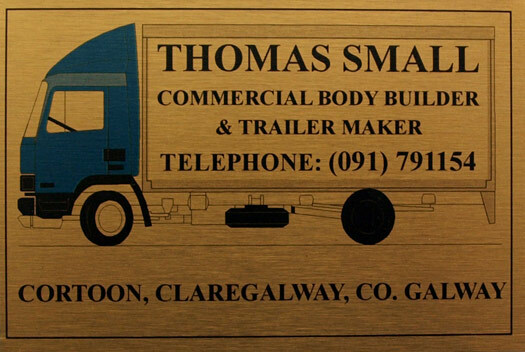 Achill Signs provides signage, plaques, decals and other forms of graphics, lettering and printed materials to customers in Ireland. We design and manufacture interior and exterior signage for buildings and public spaces, both for advertising / promotional use and for informational purposes. We also provide decals and lettering for fleet graphics, for plaques, nameplates and awards, and for many other forms of print communications. Our customers range from individuals and small businesses up to large corporate clients and local authorities across Ireland. Operating from Achill Island, Achill Signs provides signage and printing solutions to customers locally on Achill and County Mayo, across the west of Ireland, and indeed covering the whole of Ireland. Achill Signs can deliver and install finished graphics and larger signs such as shop front signage or large directional signs to customers in all parts of Ireland. 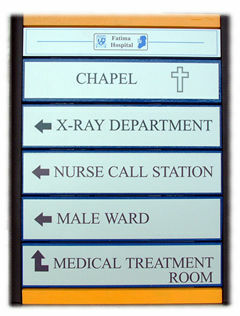 Achill Signs provides a prompt and professional service for all its customers. Whether your requirements are for shop signs, vehicle decals or graphics, building signage, award plaques and nameplates, or other printed graphics, Achill Signs delivers on time, on budget and to the highest quality standards. Contact Achill Signs to discuss your signage or printed graphics requirements.